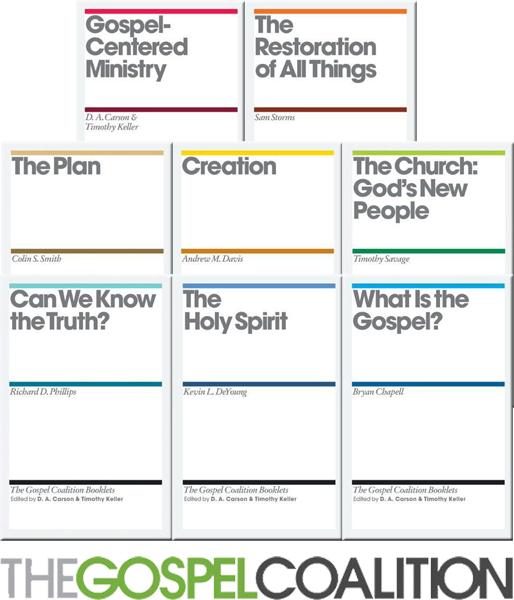 The Gospel Coalition has produced fourteen booklets detailing their vision for ministry. Below are those booklets in PDF form. About the Gospel Coalition: We want to generate a unified effort among all peoples—an effort that is zealous to honor Christ and multiply his disciples, joining in a true coalition for Jesus. Such a biblically grounded and united mission is the only enduring future for the church. This reality compels us to stand with others who are stirred by the conviction that the mercy of God in Jesus Christ is our only hope of eternal salvation. We desire to champion this gospel with clarity, compassion, courage, and joy—gladly linking hearts with fellow believers across denominational, ethnic, and class lines. Subscribe to our email list in the right sidebar for more great resources that promote sound doctrine.